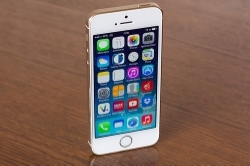 Can The IPhone 5S Improve Your Love Life? With the many improvements Apple made to their new model of the iPhone, you can’t help but wonder what this new phone could do for you that the last one couldn’t. One of the many features that were added to the 5S is the fingerprint identity sensor built into the Home button. For anyone on the dating scene, a unique ID password could mean the difference between happily dating and being miserably single. When dating a few different people and one of them sees your phone vibrate, things can get messy. Curiosity can take over and lead to the ugly realization that they are, in fact, not the only one. What this ID sensor provides is peace of mind as far as your phone being searched is concerned. Another new feature that has iPhone users buzzing is the blocking feature. iPhone users can now block numbers from calling, texting, and flat out contacting them. While Android users have been enjoying this for quite some time, Apple users now get a taste of digitally closing doors. How would this help your love life, you ask? Please let me explain: nothing is worse than trying to move forward and getting non-stop calls and texts from your past. With the new blocking feature available, you no longer have to turn off your phone or forward the calls. Now, you can simply go about your future without having your past be present. When it comes to dating in this tech savvy world, it’s the little things that make finding love a little easier. Anytime you grab your phone, whether it be snapping a pic on a great date, taking down the number of a potential, or even messaging back your online prospect, having your phone be up to speed can help in keeping your busy love life on track. What other ways has your iPhone improved your game? Leave us a comment!